This 3 Point Sling is simple, and a truly functional sling which works. 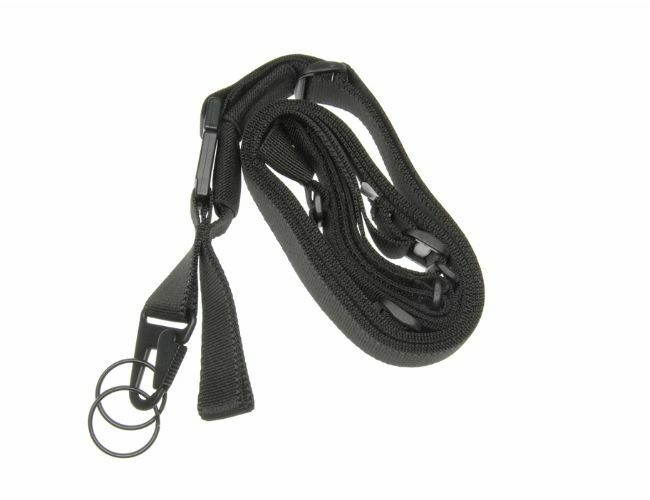 It is made from heavy duty webbing. This will let the user release the weapon and keep hands free and use a pistol. It will not drop to the ground.